At the final hurdle, Emil Santos beat Puerto Rico’s Hector Berrios, not seeded a surprise finalist but for well over a decade a crucial member of the island’s national team. Emil Santos prevailed in four straight games (11-9, 11-6, 11-8, 12-10), having earlier in the day accounted for Kevin Farley of Barbados (11-4, 9-11, 11-8, 11-5) to reserve his place in the quarter-finals, the stage at which in both the men’s and women’s events, matches became best of seven games as opposed to five games in the preceding rounds. A change of format, Emil Santos responded. He accounted for Ricardo Jimenez, the no.7 seed and like Hector Berrios from Puerto Rico (11-4, 13-11, 11-6, 7-11, 11-5) to book his place in the penultimate round, where he experienced his toughest test of the day. He recovered from a two games to nil deficit to beat Cuba’s Livan Martinez in six games (5-11, 12-14, 11-8, 12-10, 11-5, 11-9). Bronze for Cuba in the men’s singles event in the form of Livan Martinez, in the women’s singles competition it was gold. After accounting for Guyana’s Aneka Phillips (11-5, 11-7, 11-6), Daniela Fonseca Carrazana overcame Trinidad and Tobago’s Brittany Joseph (11-9, 12-10, 11-6, 11-1) to reserve her place in the penultimate round where she caused an upset of note by ending the hopes of the Dominican Republic’s Eva Brito, the top seed (7-11, 11-6, 11-7, 11-4, 7-11, 11-7). Hard fought semi-final success, in the final against Esmerlyn Castro, the no.2 seed and also from the Dominican Republic, life was even more exacting. She needed the full seven games to secure victory (11-6, 8-11, 11-8, 8-11, 11-5, 7-11, 11-5). 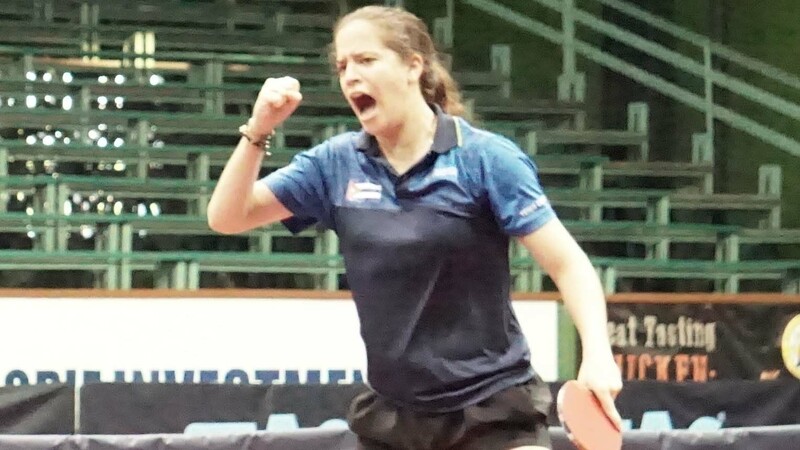 Both Emil Santos and Daniela Fonseca Carrazana qualify for the 2020 Pan American Cup.